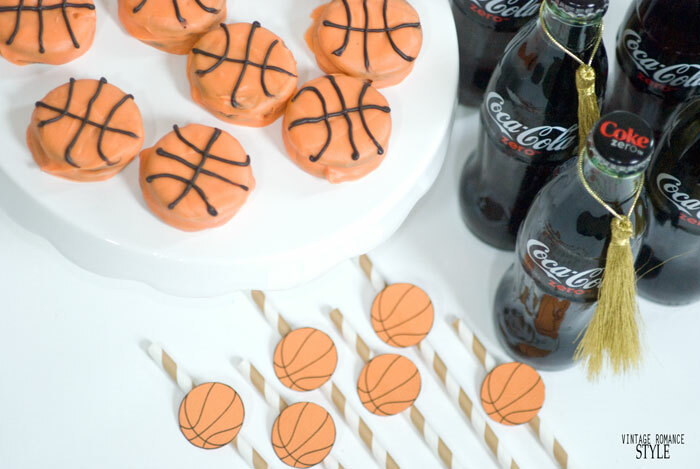 The Big Tournament is finally here and because it is, it's time to start thinking about the snacks you are going to serve your guests. 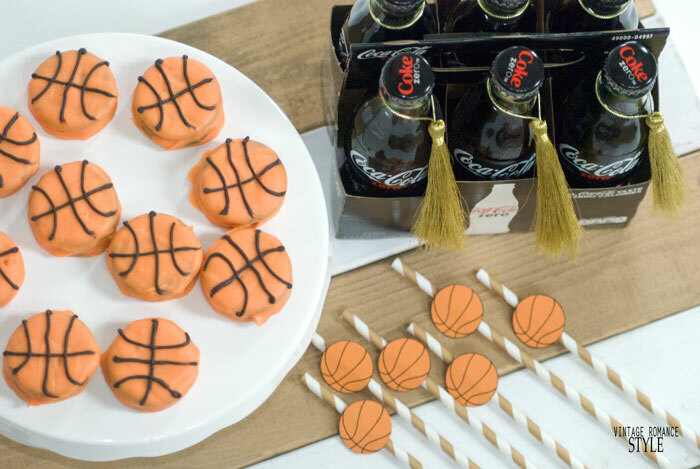 Whether it be a small family gathering to watch the game, or a whole party with brackets filled out and everything, it's always good to be prepared. 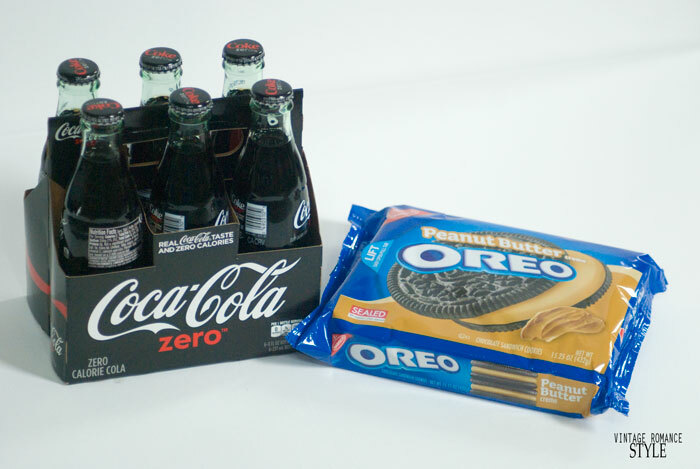 One of my favorite things to sip on while I'm snacking, crafting or even blogging is Coca-Cola Zero™ . My guilty pleasure if I'm being honest. Also, my kids and husband included love OREOS! 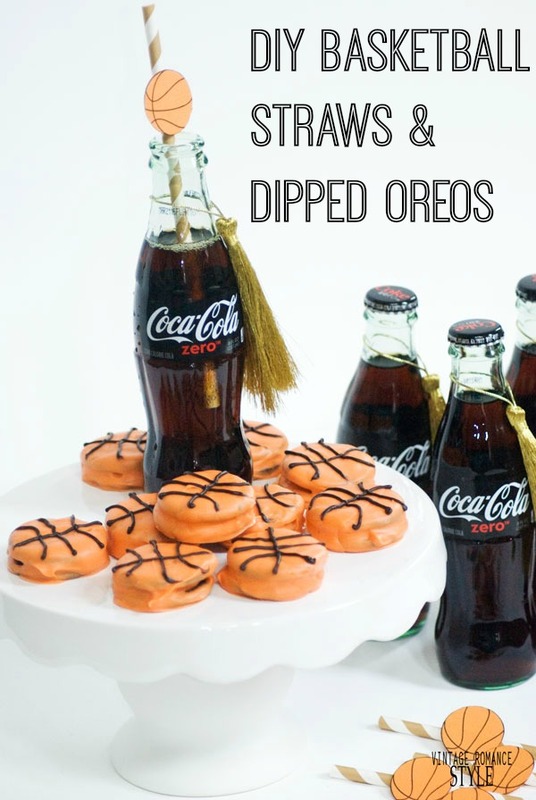 So, today I'm here to show you a simple party snack that everyone will love along with some cute DIY straws to make sipping on Coke Zero fun. I headed to Vons to and picked up a 6pk of 8oz. 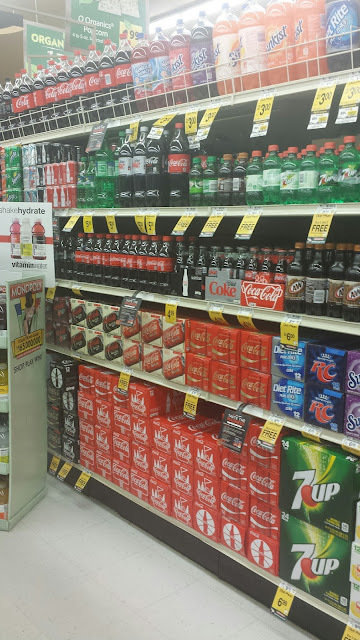 Coke Zero in the glass bottles because they are so cute. 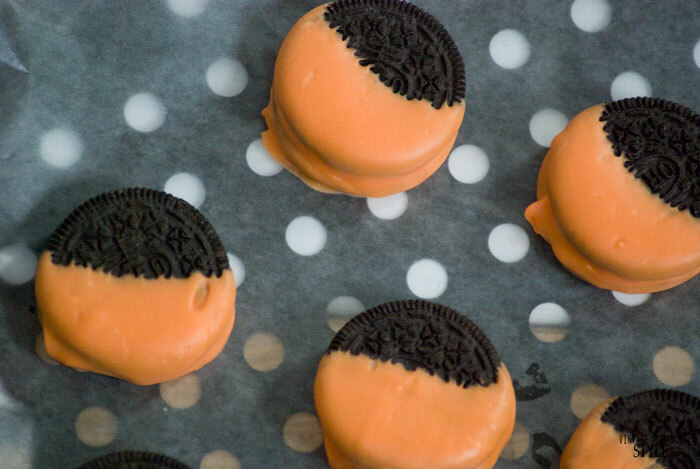 I also picked up peanut butter OREOS to dip! These are definitely something that the whole family can enjoy. 1. Take a baking sheet out and cover it with parchment paper and set to the side. 2. Take a medium sized pot, fill it with 1/3 water and place it on the stove. 3. 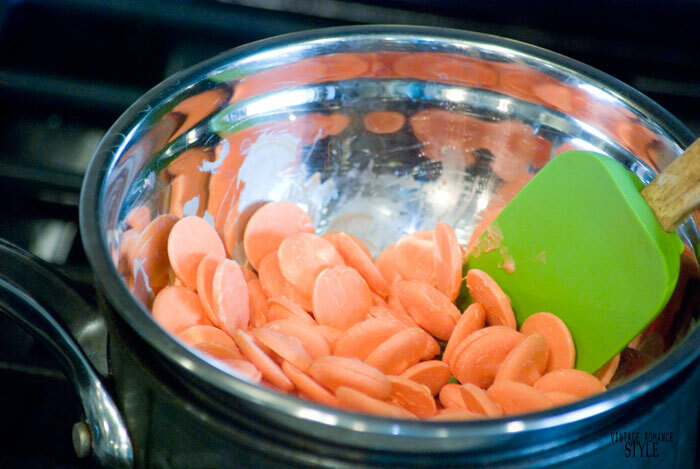 Place a glass or metal bowl on top of the pot, place the orange melting chips in the bowl and bring the water in the pot to a simmer. Slowly stir the chips and let melt. 4. 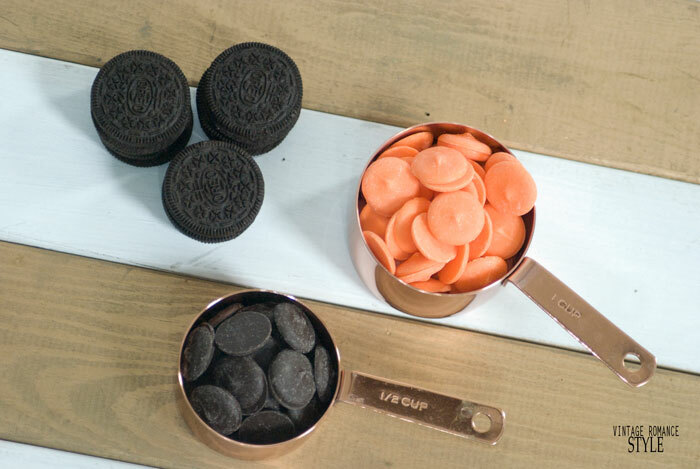 Once they are completely melted and smooth, dip one side of the OREO in the bowl and place on the baking sheet. 5. Place in the freezer to harden up. About 10 minutes. 6. Now repeat and dip and other side. Place in the freezer for 10 minutes again. 7. 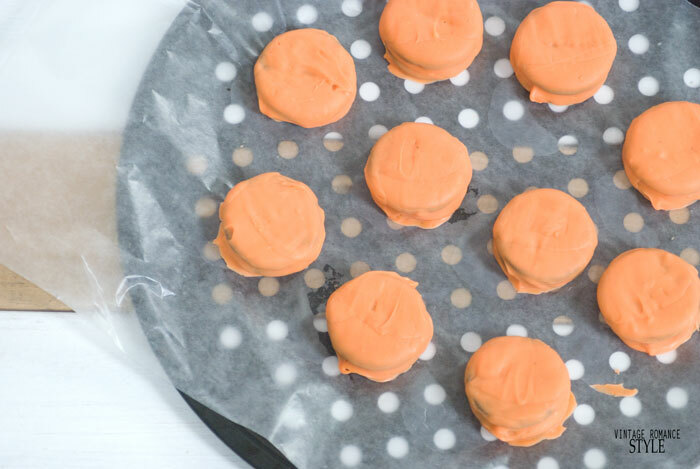 Melt the dark chocolate melting candy chips just like you did the orange. 8. 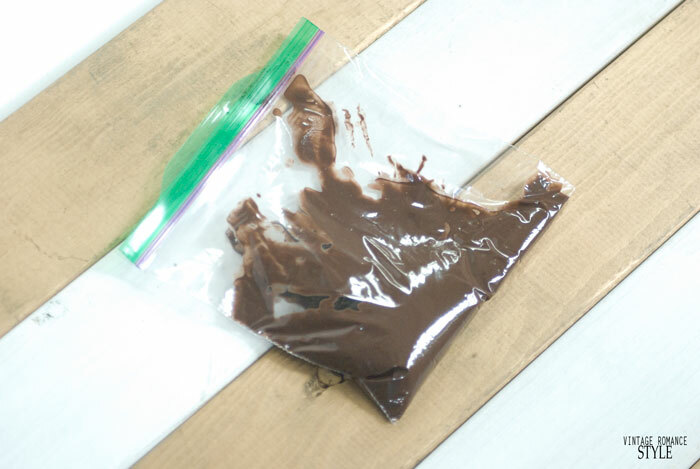 Scoop some of the chocolate in a ziploc bag and with scissors. cut off a teeny tiny tip of the bag for piping. 9. 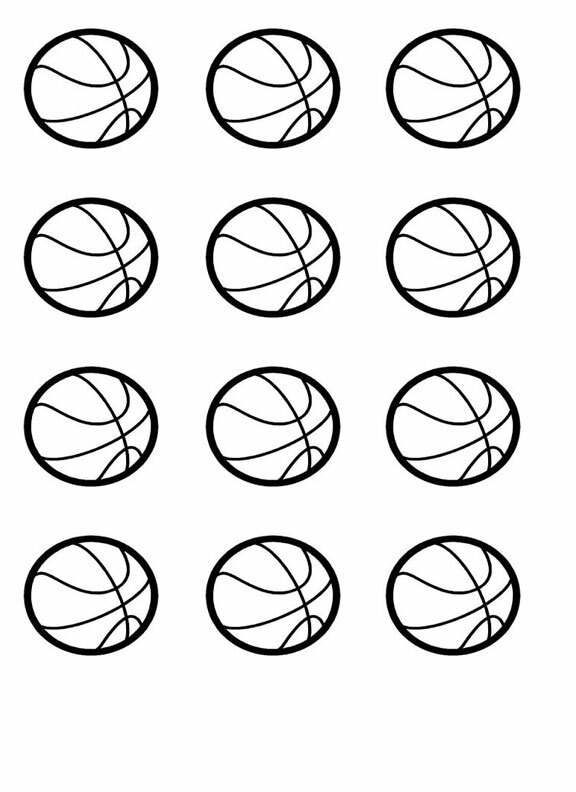 Pipe on the basketball print and place in the freezer again, then they are done! 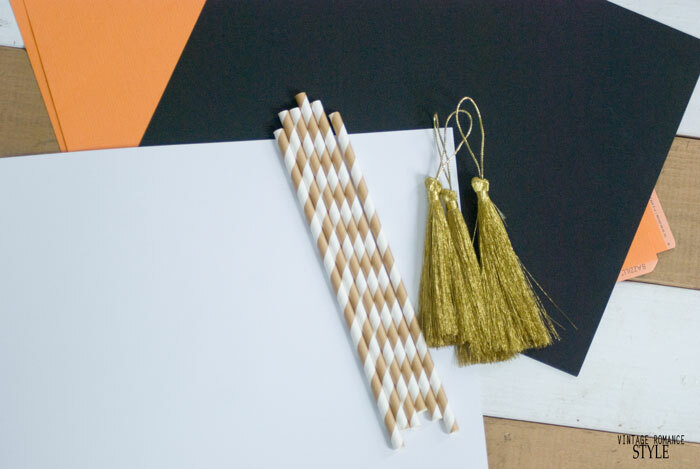 Now it's time to make some straws! 1. 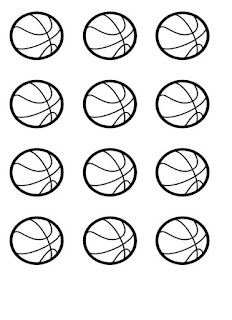 Print out the basketball and cut out. 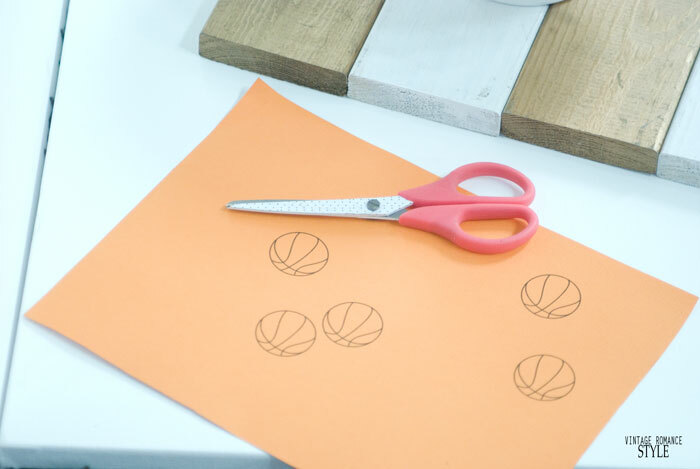 My free printable is at the bottom of this post! 2. 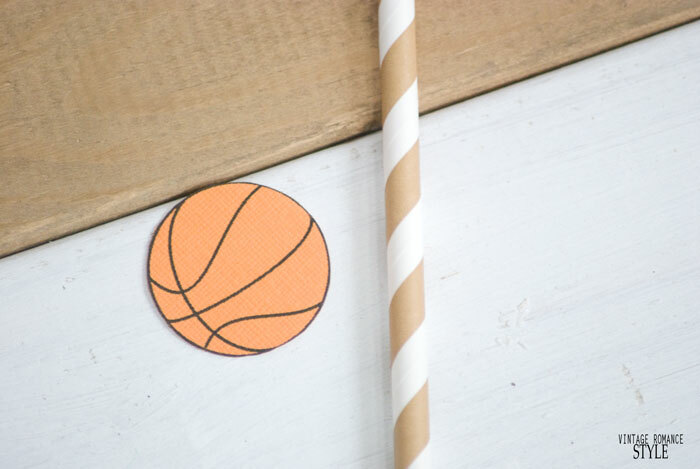 Glue one of the basketballs about 1 to 1.5 inches down from the top of the straw and you're ready to enjoy some Coke Zero! 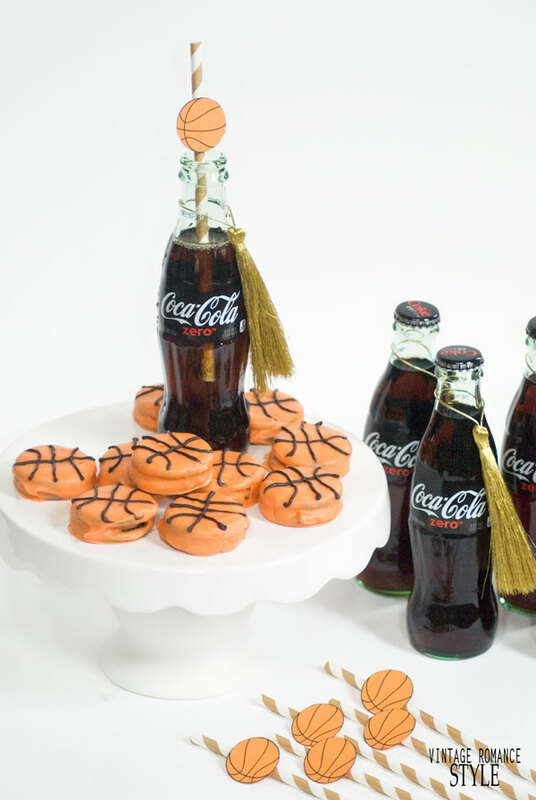 How do you get in the spirit for the Big Tournament? 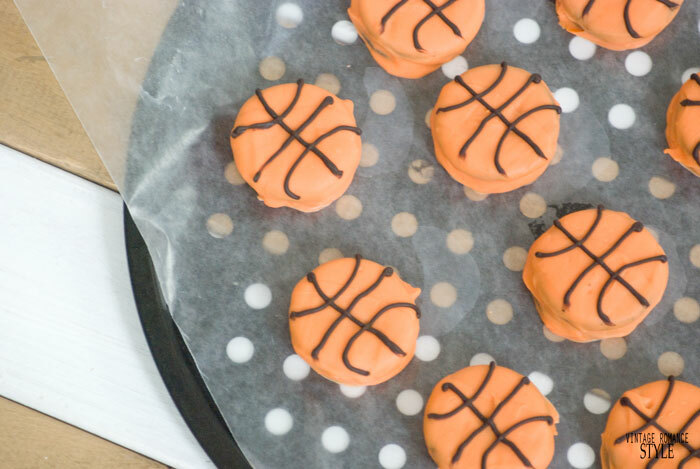 Do you whip up some yummy snacks and plan everything out for the game or do you just go with the flow? 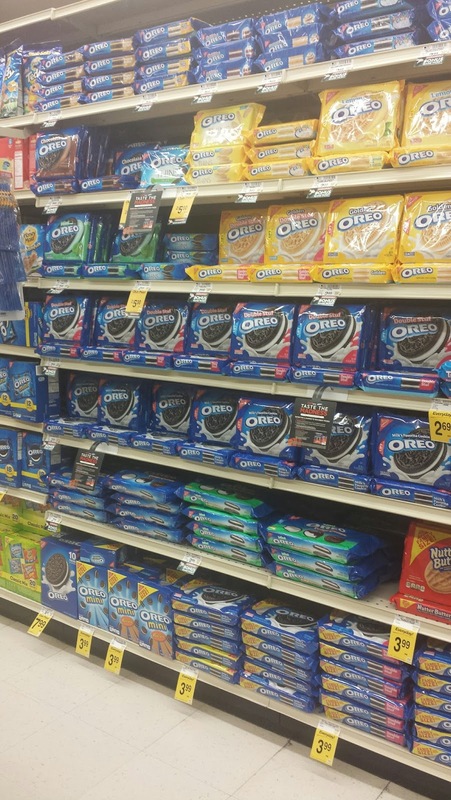 Which flavor of OREO cookies are your favorite? Mine is cinnamon bun!